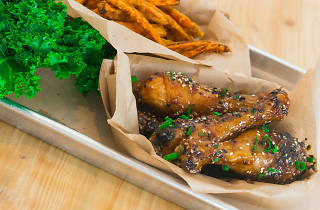 As indicated by their name, Love Baked Wings doesn't fry their chicken wings—they bake 'em. 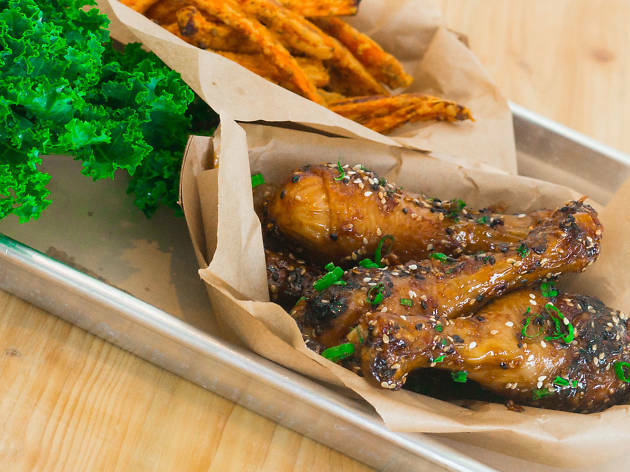 Using all natural, free range chicken, the shop offers wings, drumsticks and boneless strips, served with a slew of sauces: spicy BBQ, ranch rub, sesame ginger and more. They also offer chickpea wings for your vegetarian loved ones who have tagged along.